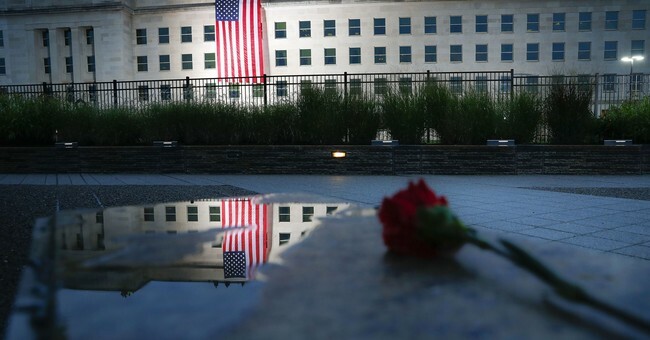 On the 17th anniversary of the deadliest terror attack on U.S. soil, Americans remember those who lost their lives, as well as those who gave theirs to save others. Every year, there are ceremonies, speeches, the readings of the names of those who have passed away, and the retelling of stories and memories of those who witnessed that horrifying day firsthand to honor the lost. But across the country, firefighters are reflecting on the sacrifices of America's heroes in a different way. These men and women are symbolically walking 110 flights to honor the firefighters who rushed up the same number in the World Trade Center buildings to save as many lives as possible, even though many knew the climb would cost them their lives. Starting at 8:46 a.m., the time that Flight 11 crashed into the North Tower of the World Trade Center, two Georgia firefighters at a Planet Fitness started their climb. They climbed 110 flights up and back down in their full firefighter gear. The video of the two firefighters has gone viral. These men aren't the only two firefighters in the nation that are doing this, however. Firefighters in Shreveport, Lousiana went to a YMCA and started their climb today, as well. Alison Lorraine of KTBS 3 stated in her Facebook post that different firefighters will be climbing until 9:00 p.m. this evening. In Albuquerque, New Mexico, dozens and dozens of firefighters also participated in a 9/11 Memorial Stair Climb. Sara Yingling of KRQE News 13 recorded the gathering on Facebook Live. In Colorado, more than 2,000 people attended the 10th annual 9/11 Memorial Climb at Red Rocks in Morrison. Nicole Brady of Denver 7 tweeted a photo of the newest members of the Westminster Fire Department who were ready to make the climb in full firefighter gear. As Brady explains in her piece, some of these new firefighters were still children in 2001. The tragic day 17 years ago is still fresh in the minds of millions. Though some of these firefighters may have been too young to remember that day and the days that followed clearly, they are honoring those who came before them by following in their footsteps. To the victims of the attack, to the heroes who risked and gave their lives to save complete strangers, you are missed, loved, and never forgotten.